Often the betrayal is of our own making. We rely on a source to be complete and it isn’t. For example, the Barbour Collection of Connecticut Vital Records does not cover all the towns in Connecticut or even all the records of the towns it includes – yet it is easy to forget these caveats and assume no record exists of a particular birth, marriage, or death. (See, for example, Chris Child’s blog post on identifying Sally Latimer Goold.) Or we cite an index as a source, and later find out we were not quite right. An important example of this is Torrey’s New England Marriages Prior to 1700. Torrey intended this only as a finding aid for researchers to consult the sources he cited and draw their own conclusions. 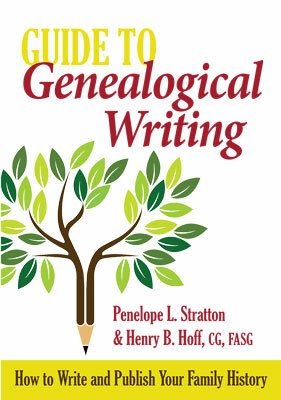 From Learning from our mistakes: A decade ago I had a luncheon talk entitled “My Ten Worst Mistakes in Genealogy.” When the title appeared, Robert Charles Anderson commented, “and he updates it frequently!” In fact, I do update it, but now I separate the mistakes that did not appear in print or in a lecture from those that did. And I’m glad to say the former far outweigh the latter. From Cousins and their connections: My father and his brother were the principal heirs of their father’s second cousin (and friend) Emily Bennett. As a result, a box of her papers ended up in my parents’ attic. 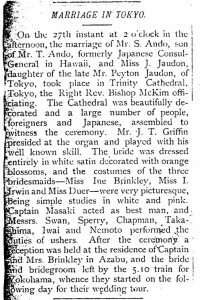 The contents of the box included this undated and unattributed newspaper clipping. 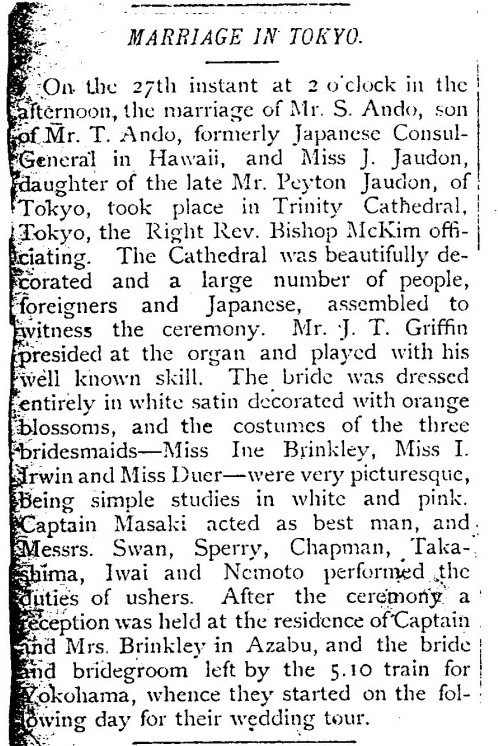 Current online research revealed that the clipping was from the Japan Weekly Mail of 30 November 1901, page 573. As you see, there is a value – and an interest – in exploring the connections of one’s connections! Citing an index as a source is indeed a concern. An example: Vermont Vital Records 1720-1908 [online at Ancestry.com] shows an index card for Betty Drew, daughter of Daniel Drew,16 Oct 1793. But Vermont Births and Christenings, 1765-1908 [online at familysearch.org] correctly shows her birth as 16 Oct.1783. Clearly a transcription error. Question: there are many digitized cards for births, marriages, and deaths on line, and they all are copies from old records, sometimes stating that fact, and the copier’s name and date are on the bottom of the card with a much later date. Where are the originals that these cards were copied from? I have viewed many of them from Vermont, New Hampshire, and Maine. I’ve always assumed that the death cards were made out from info in the town’s records. Of course that leads to possible transcription errors. Henry, do you occasionally run across mistakes in the original records themselves – mistakes that might cause an error in a later derivative source? – I wonder if many of the original records are capable of carrying with them their own host of errors from time to time, and indeed it then becomes the “function” of some secondary source(s) to prove out what was once thought to be set in stone? For example, say a woman’s birth record was incorrectly recorded on the original document, for whatever reason, perhaps after a lapse of time or memory. Her marriage is then correctly recorded, and the births of her children follow in published genealogies, Bible records, and in cemetery records placing her buried with her husband and most of her children – yet her original birth record would make her too old to be their mother… Is the original document of her birth then still “taken as gospel” or can it then be held suspect by other records which would reflect that the lady was too old to have been in her child bearing years if the original birth date document is used? Ah! It is so difficult not to be betrayed sometimes in research – but it is even more disheartening when the facts that were considered to be the truest are the ones that have betrayed us. Henry, many thanks for all the hard work you do – and for reminding me about “consistency”. It is important in any format – and always one of the most difficult for to achieve. I have found some of those inconsistencies. It seems to happen mostly when father and son with the same name get merged into one person. Or an uncle and nephew. My paper trail does not convince that this happened. So that confusion will be copied again. And likely again and again and again. I know how it happened. Every son was named for a brother for 3 generations. I have run into that as well, but it was easier to sort out. I’ve never found any set of records or sources to be 100% correct. I’ve found errors on gravestones. So even if it is “set in stone,” it could be incorrect.